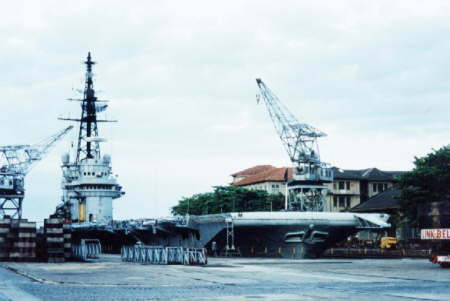 Minas Gerais at Arsenal de Marinha, Rio de Janeiro, Brazil in 1999. 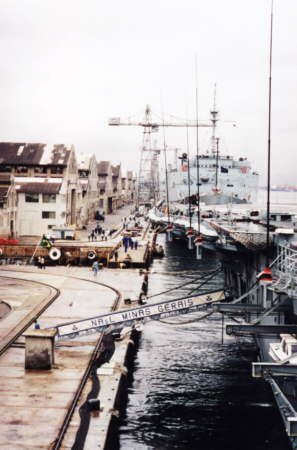 Minas Gerais alongside at Arsenal de Marinha, Rio de Janeiro, Brazil in 1999. 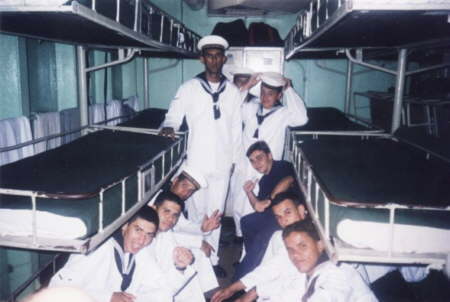 Marcelo Tesch aboard Minas Gerais in 1999. 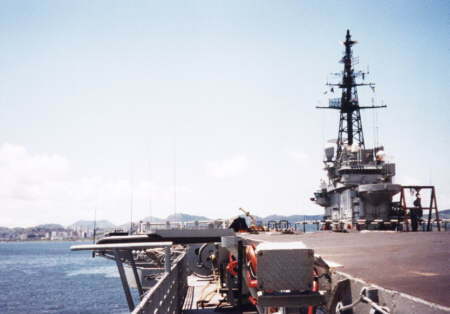 Mess deck aboard Minas Gerais, 1999. 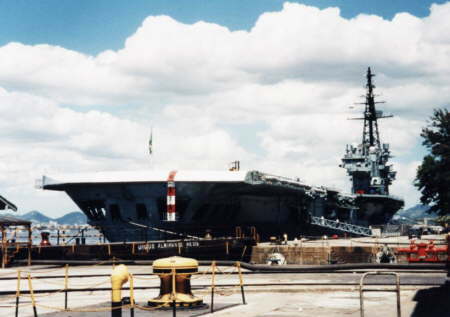 Minas Gerais, view of flight deck and island in April 2000. 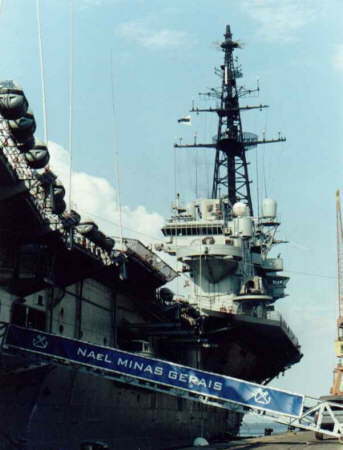 Minas Gerais in dry dock at Arsenal de Marinha, Rio de Janeiro, Brazil in 2000. 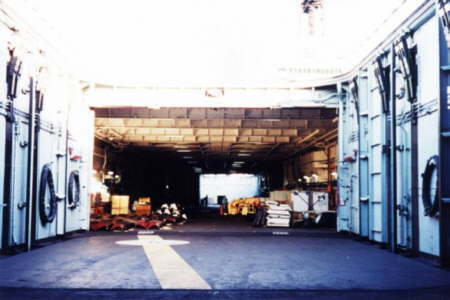 Rear lift in hangar deck, looking forward. 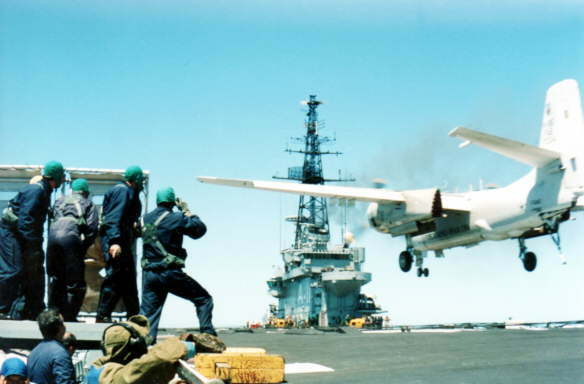 Aircraft off and climbing in 2000. 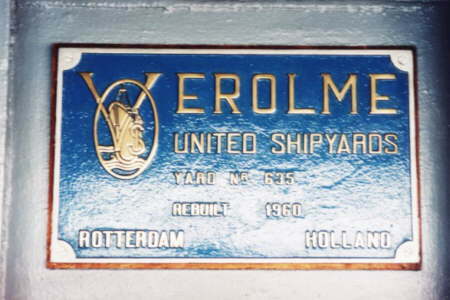 Verolme shipyard plaque aboard Minas Gerais. 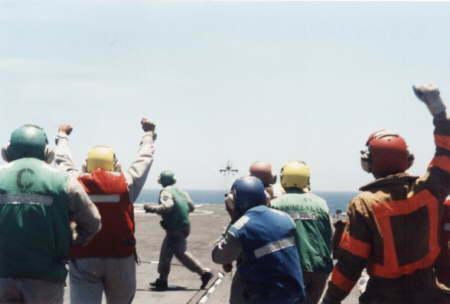 Flightdeck Operations Minas Gerais. Date and location unknown. 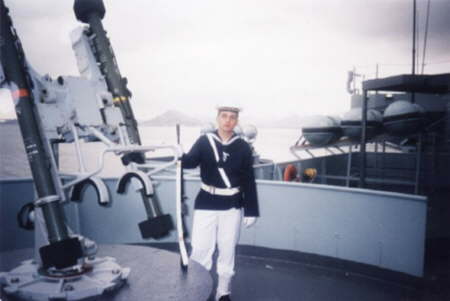 With thanks to Marcelo Tesch (Brazilian Navy) for these photograph's.